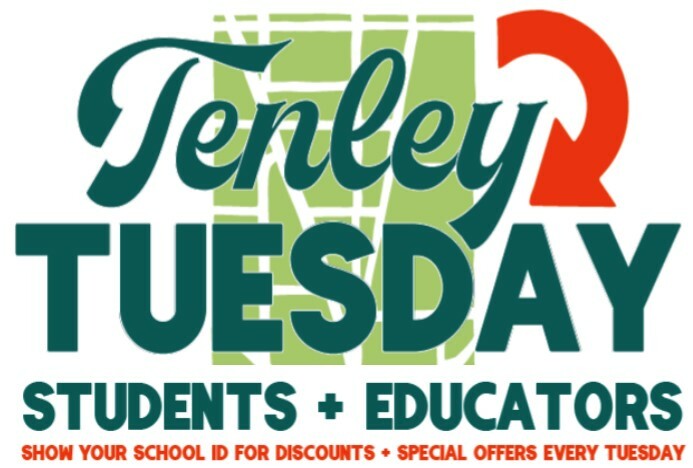 We love our schools, and in 2019 we’re showing our appreciation with Tenley Tuesdays – a weekly discount program. Students, teachers, and school staff – from pre-school through law school – simply need to show a current school ID to enjoy promotions at select local businesses every Tuesday. It’s just the business district’s way of saying thank you to our amazing educational institutions and all those who work and study there. Current participating businesses include: Bandit Taco, Beefsteak, Chick-fil-A, Crisp & Juicy, District Taco, Muncheez, Olive Bistro & Cafe, Pete’s New Haven Style Apizza, and SeoulSpice. 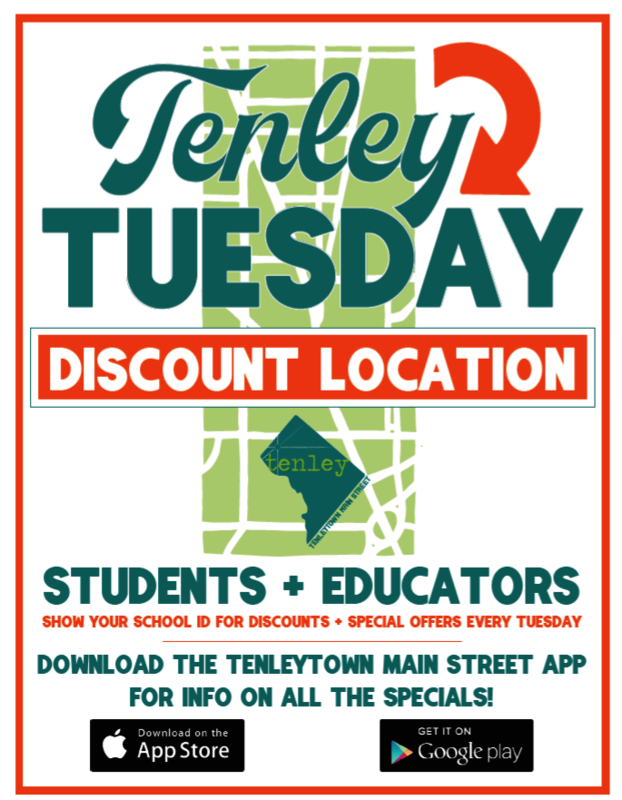 Look for signs like these at local spots, or download the free Tenleytown Main Street app (App Store or Google Play) for a complete list of Tenley Tuesday locations and special offers.